xli+304 pages with diagrams. Small octavo (7" x 5") issued in pictorial burgandy cloth with gilt and black lettering and pictorial to spine and front cover with gilt head end pages. Introduction by Professor Hoffman. 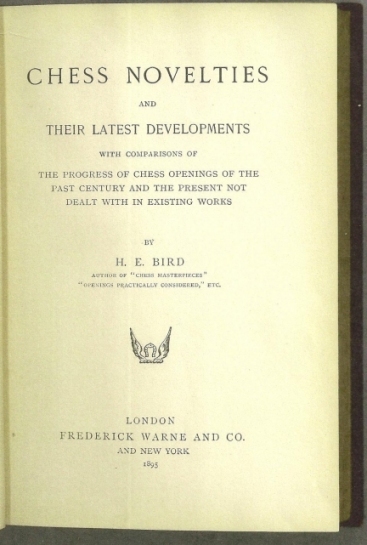 (Betts: 13-42) First edition. Selected openings analysed, with illustrative games. 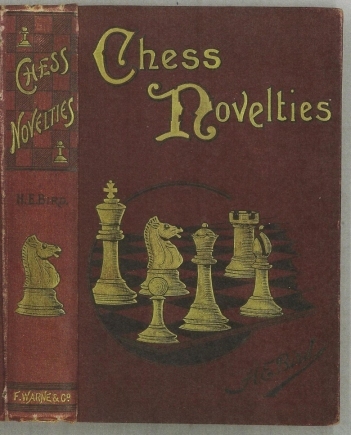 Contains "...new openings introduced and old ones revived during the writer's chess experience, and includes many new lines of play of his own". Rubbing to hinges and points, old book seller's sticker on front end paper hinge, spine ends rubbed else a very good copy.